Every year on the last Sunday of June the city of Lecco holds a festival. 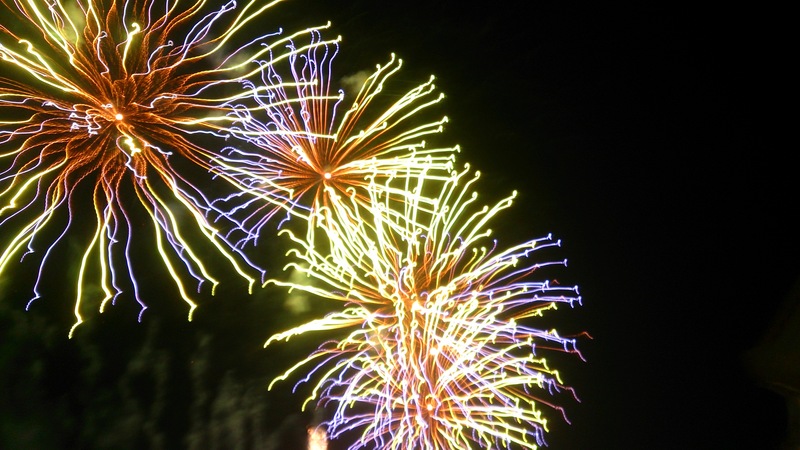 There are usually events like a market, music and a grand fireworks display. The fireworks are set up on a flat barge that is then transported out to the middle of the lake. The best views are from the Lecco Lungo Lago promenade or from the promenade in Malgrate, the city on the opposite side of the Kennedy bridge. Our plan was to have cocktails at Parè 67 in Valmadrera and then go over to Malgrate after dark to see the firework display. This year there was a torrential wind, rain and hail storm so the event was postponed to the day after. We stayed for a drink at a local pub, but then had to get out. The wind swooped in and dark clouds hung low over the lake. We called it a night but then we heard the fireworks show would be held Monday night. 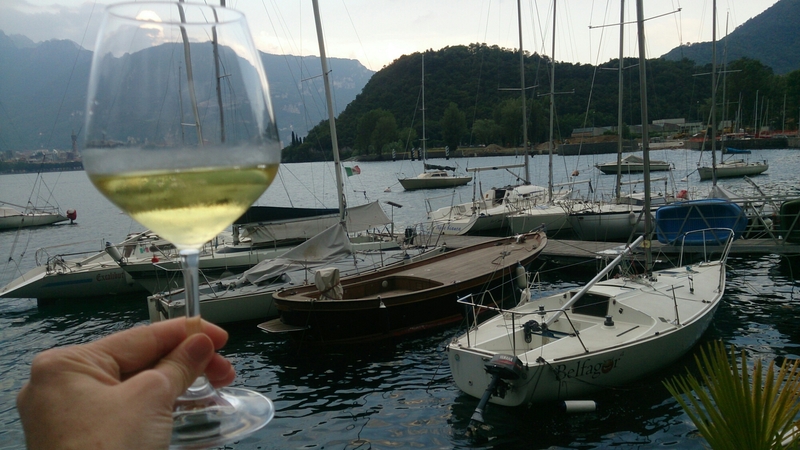 We headed over to the Canotieri, the local rowing club in Lecco which is one of the best vantage points of the lake. The days are long now and it wasn’t dark until about 10 pm. The fireworks started about half an hour later. There’s nothing like forgetting about your things- to-do lists to look up and watch the explosions. In that moment the only thoughts crossing your mind are: What color will the bursts be? Will they be the big bang kind or the crispy crinkling kind? Will I be able to hear the echo? The pounding pop-corn bursts and the deep drum-like explosions reverberate right into your chest, your neck starts getting tired from looking up but you resist until the end. Mesmorized, the child inside you is awestruck by the beautiful colors and outrageously loud booms. Then it stops. The sky is dark again and everything goes back to normal.